Two years in a row, my sister has sent me a link to an Instructables article on how to make homemade Cadbury Cream Eggs. The filling got a nice long session with the refrigerator during our work day. After work, as dinner cooked, rolled up our filling into the requisite little balls which got to go back into the fridge while we ate. Then after supper, we took a bowl, melted up some dipping chocolate and chocolate chips in the microwave, dipped those suckers in, plopped them on wax paper, and threw them back into the fridge. 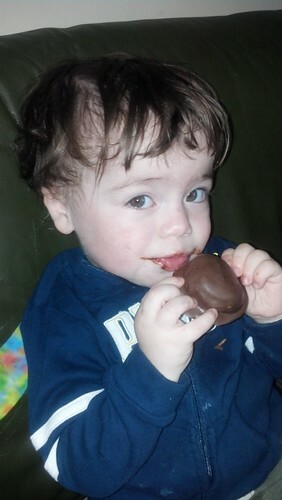 Roughly ten minutes later, we were enjoying our homemade Cadbury Crème Eggs. Really all and all, it was little effort and the pay off was delicious. My husband used the word “magic” and joked that he expected “Cadbury to bust down the door and arrest us for patent infringement”. 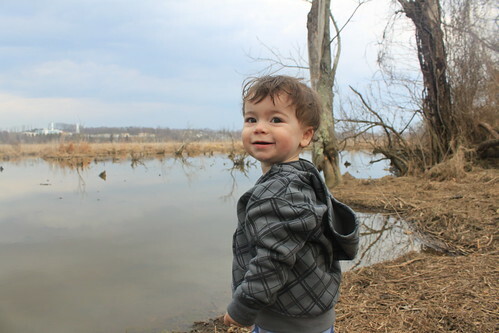 Today was a lovely spring day and with more winter-like temperatures in the forecast for Monday, I decided to take my 20-month old son out for a quick hike this afternoon. I aimed to take him to Leesylvania State Park, but while we were on Neabsco Road, I spied a tell-tale trailhead sign, so I turned around to investigate. 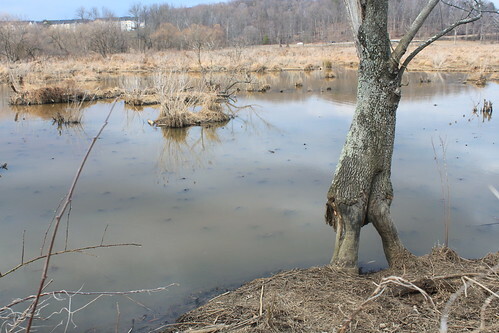 It looked like a humble little park, the Julie J. Metz Wetland Bank, but boy, it was just a wonderful hidden gem. This trail system was absolutely perfect for a toddler! 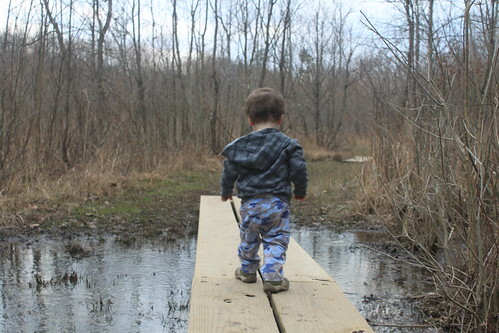 The trails were flat and at the same time, they had numerous bridges and wooden walkways to intrigue your child (and keep you elevated out of the wetlands). 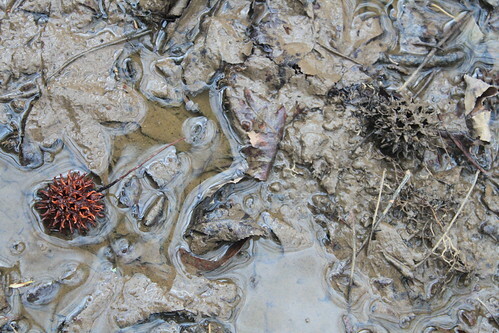 We had some rain earlier in the day, so we had a bonus perk– muddy puddles! 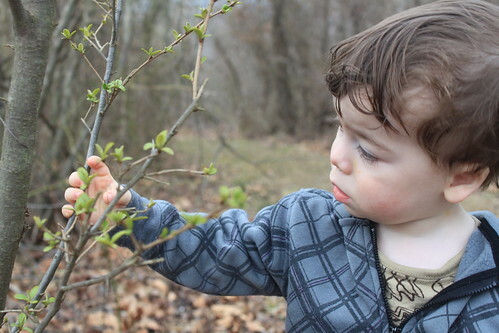 My son loved splashing in them, stomping in them, and then he leaned down and put his hands in. 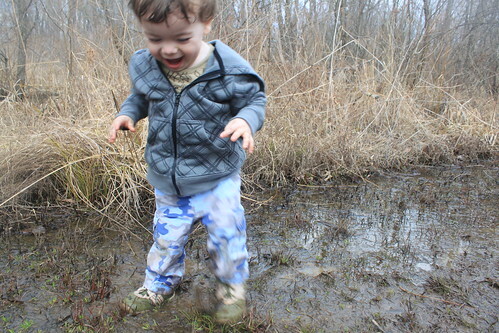 At that point, he didn’t love muddle puddles so much (he despises dirty hands). Honestly, I wasn’t paying that much attention to the trees. 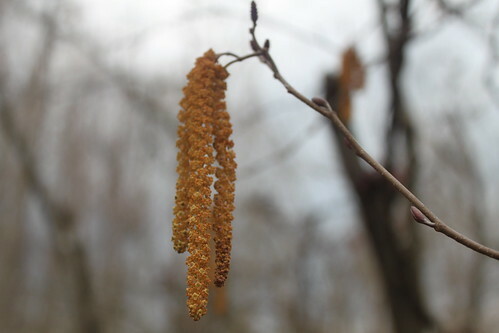 I did spy some flowering catkins and the tiniest of baby leaves making their first spring appearance. 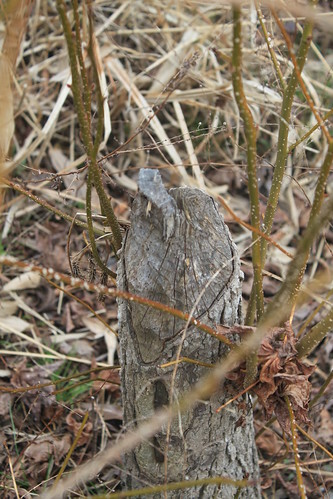 There was plenty of evidence of Sweet Gum, from the ample collection of spikey balls on the ground to the distinctive “alligator-wood” of the branches. 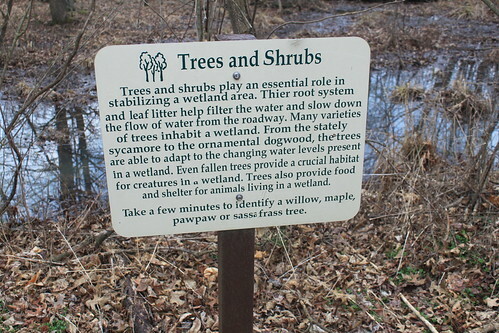 I also noted American Sycamore. I don’t recall seeing any Red Maples. 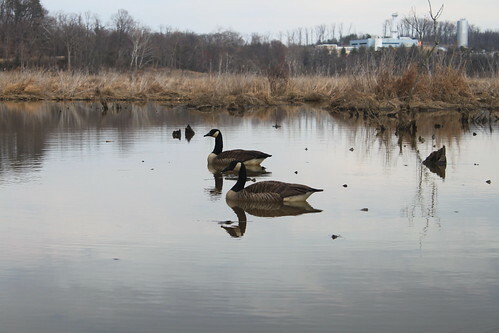 Like Huntley Meadows Park in Fairfax, Virginia this little park gives you a lot of bang for your buck when it comes to wildlife. So many birds were singing and so loudly that it almost seemed as if we had a radio on. As you can expect, waterfowl were plentiful. As dusk neared, we had a wonderful serenade of spring peepers. It was reminiscent of the Spring Peeper Serenade from my 35th Birthday, though not quite as loud. 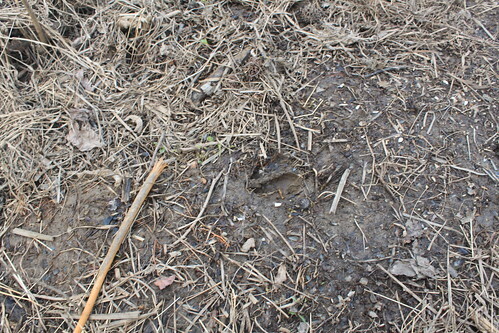 During our hike we also saw lots of souvenirs left behind by beavers (in the form of gnawed tree stumps) and deer (in the form of many, many, many footprints in the mud). Julie J. Metz Wetland Bank was an accidental find, but I highly recommend it, particular to families with small children. I don’t think we could have had a more enjoyable afternoon.